I know, I know. People always look at me funny when I say I believe in signs – like a pansy blooming in a bed of snow, a sunset that promises a beautiful tomorrow or my unlikelihood of growing a beautiful rose. But this time, I had a sign that can never be disputed. These blooms are mine. I deserve no credit. I am not a rose person. Roses are way too much trouble and yield too little satisfaction for all the work required.. Until now. My friend, Linda Murrah, died of ovarian cancer in 1999. 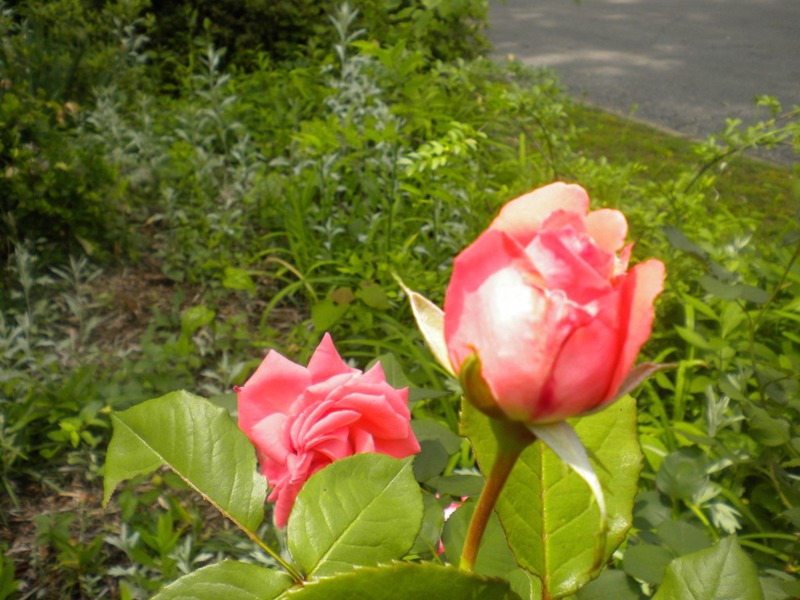 Three days later, our mutual friend, Susie Overstreet, gave me a rose bush to help soften the blow and we planted it together.. We named it Miss Linda. and maybe it bloomed a year or two, then I forgot about it and the flower bed got covered with mulch. This year, unprovoked and unassisted, Miss Linda rose from the prison of her impacted soil. She came to life in a way I never could expect. I I didn’t even recognize my home when I drove down the street and saw a huge pop of color. Linda is trying to tell me something and I’m listening. She used to disturb my wind chimes when I said something ugly or smoked a cigarette. I wonder what she’s telling me now? 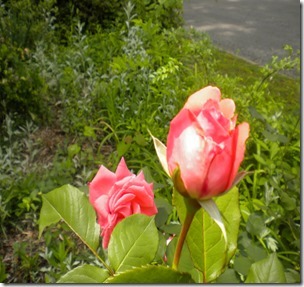 This entry was posted in Gardening and tagged Blooming rose is mystery, Rose surprise by Emily Jones. Bookmark the permalink. She’s letting you know that everything is coming up roses and miracles do happen! You are a miracle as is the rosé, you thought the rose had withered away so never give up! Life is good my friend!!! 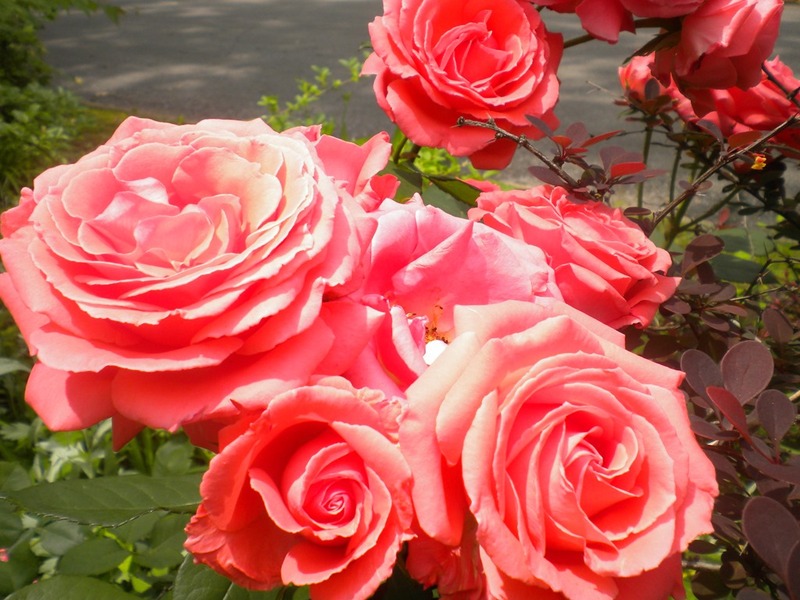 You know I love roses, and Miss Linda is a beautiful “sign”! Good old “Fluff”. She was as pretty as a rose and so are you. May you take time each day to smell the roses . . . And remember you are not alone in the garden of life.